This Friday I’ll be hopping a plane to the West Coast for the Evidence-Based Investing Conference in Dana Point, California and I’m bringing the whole Castelli crew with me. I’ve been looking forward to this conference since it was announced…the EBI Conference Series will always be an important one for me. The original Evidence-Based Investing Conference in the fall of 2016 was a career-defining event for me. I made my first trip to New York City to attend the conference not knowing anyone whom would be attending, at least not personally (I knew plenty of the speakers and attendees from Twitter, but they would have had no idea who I was); if you know me, especially back then, that was out of my comfort zone. 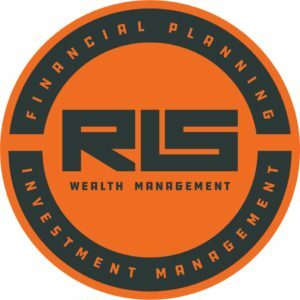 At the time, RLS Wealth Management (then only RL Wealth Management) was just over a year old, and I was in the process of fine-tuning my vision and creating the culture for the company I wanted to build. 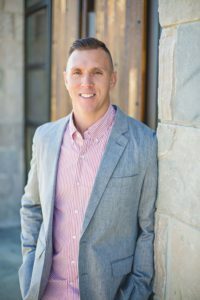 If you’ve never started your own Registered Investment Adviser firm, the first year is spent setting the infrastructure, transitioning clients, reworking financial plans, and making sure clients are comfortable with the change. For me, during that first year, there was little time to think about the changes I wanted to implement with my approach to planning and investing once I was in charge–at previous employers, I was stuck playing by someone else’s rules. I did implement one significant change early on. I began using Dimensional Funds in my clients’ portfolios; I’d researched them at a prior firm and actually recommended them for use, but my recommendation was never implemented. In researching DFA and deciding to roll with them, I had become a believer in evidence-based investing–I just didn’t know it at the time. That all changed at EBI ’16. I vividly remember listening to the amazing lineup speak and agreeing with a lot of what was being said, and I noticed a reoccurring theme: the old way of investing–picking stocks and trying to beat the market–was becoming increasingly harder to do and most investors would not be able to successfully do so. Instead of trying to pick managers who may or may not outperform, investors should lean on academic research and evidence to create investment strategies and corresponding portfolios. It all just made sense and fit with my approach to working with clients. I left NYC with a clearer vision and definition of the type of investment firm RLSWM would be. Not only did I learn a tremendous amount that day–I’m still blown away by the lineup, topics covered and knowledge dropped in just one day–but I was able to meet many of the FinTwit community I respected and looked up to. For me, it would have been the equivalent of getting to go into the Indiana Pacers locker room after a game and meeting the players as a kid, if I was lucky enough to have that experience. It was at EBI ’16 I realized how impactful and generous the FinTwit community was. I came to EBI ’16 as a spectator of FinTwit and left with the goal of becoming a contributor; two years later I’m still working on my goal, but I think I’m making progress. Afterward, I told myself I’d never miss an EBI Conference. Naturally, I wasn’t able to attend EBI East ’17 because Silas was to be born just a couple of days before the conference (it was a good thing I didn’t go because he arrived two days prior to the conference). I was skeptical that the west coast version could be as good as the east coast, but after following along from home on Twitter during the first EBI West, I quickly realized it was just as good–the Ritholtz gang wouldn’t allow it to be a lesser event–and room was made in RLSWM’s budget for the EBI Conference on both coasts. So here we are, just a couple of days before the conference kicks off. I’m looking forward to stealing some family time in beautiful California, catching up with friends, finally meeting more of my FinTwit family in person, learning from the crazy lineup, and oh, getting a chance to participate in a panel on the final day. It’s hard to believe that I am going to have the opportunity to share the stage with some of the brightest minds in the investment and financial planning community–it may not be at the same time, but it’s the same conference. I’d be lying if my excitement for the panel discussion isn’t accompanied by some nerves…ok a lot of nerves. I imagine the moments leading up to the panel will be met with the same butterflies I used to feel before a big game, and I’m hoping I can perform to the best of my abilities–just like I did on the court. I’m hoping FinTwit will be generous with their time once again and I will be able to splice all of the answers together for a short but extremely informational podcast episode. I’ve already warned everyone that I’ll be coming for their answers, and I plan on putting more pressure on them Thursday via video and a tagging campaign on Twitter. I think this could be a pretty cool project. So be sure to stay tuned for everything EBI West in the coming days!